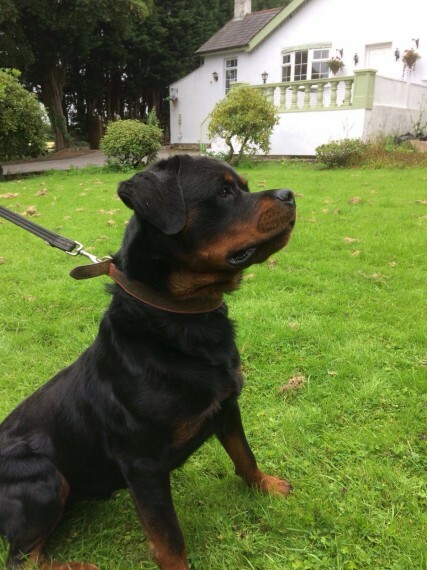 Our Reeko is a Stunning Example of the Rottweiler Breed.. hes Proven and we have Puppies here now from him. Kennel Club Registered with our Kennel Name Faustini. We imported him from a Puppy from Ireland and he has Champion Lines in his Pedigree from Germany.France.Hungary and Ireland. But most importantly he has the Perfect Nature and Personality. Hes Great around other Dogs and Children and well Manered. Hip and Elbow Scored and up to Date with Vaccinations Ect. Hips 3 . 3 Elbows 0 . 1 Please Text or call for more info. Unique Genes Rottweiler For Stud.